Dr. Mark Vladimirovich Vineberg, General Director of Russia's Mil Design Bureau, died after a brief illness on February 3, 1997. He was 59 years old. Born on July 26, 1937 in Cherkassy, he graduated from the Kaliningrad Technical Institute in 1961 and began work that year as a helicopter design engineer for Dr. Mikhail L. Mil. He earned a doctorate in engineering at the Moscow Aviation Institute in 1971 and went on to become a recognized world authority on rotary wing aviation. During his career, he authored 19 scientific publications and received patent certificates on 14 inventions relating to rotorcraft design. He was a member of the Russian Academy of Transportation, the Russian Aviation and Aeronautics Academy, and the board of the Russian Helicopter Society. 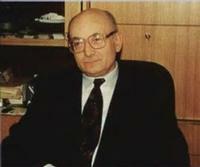 In the international helicopter community, he was active as a board member of the European Rotorcraft Forum. He also served as a member of the AHS Technical Council.